The Standing Stone: Event Review: "First Shots," 20th March, 2016, Stradbally, Co. Laois. 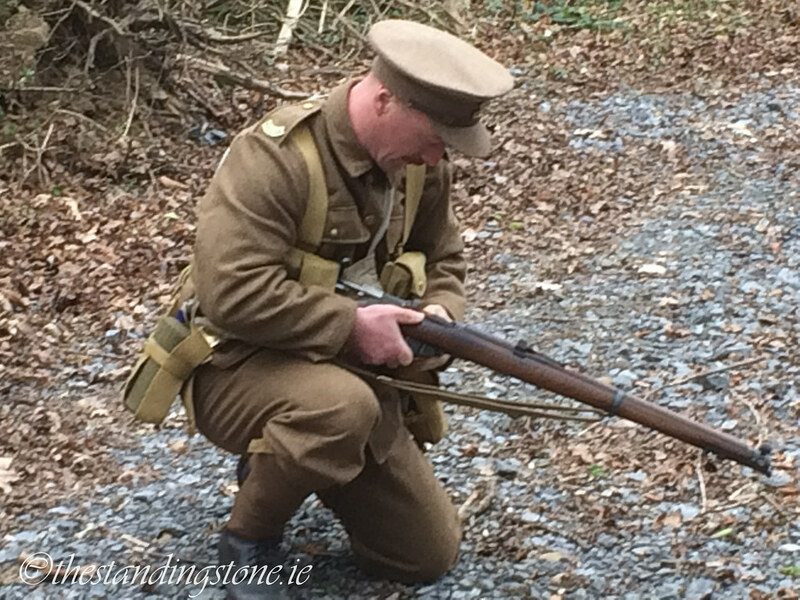 Event Review: "First Shots," 20th March, 2016, Stradbally, Co. Laois. Organisers: Portlaoise Men’s Shed supported by the Laois Commemorations Committee. 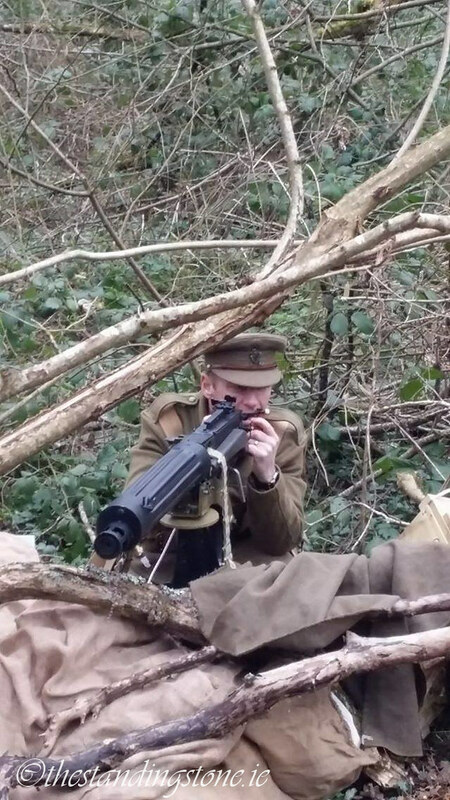 It is a little known fact that the first shot of the 1916 rising actually took place in a quiet location in rural County Laois. In fact a quick glance at the Wikipedia page for the Easter Rising will demonstrate this as the event is not even mentioned. Yet, it happened and the centenary of the Rising has provided an opportunity to put this event back into the narrative of 1916. The Easter Rising is generally held to have begun on Easter Monday, 24th April, 1916 in Dublin with the first shots being fired around 13:15. However, the Laois branch of the Irish Volunteers had fired the first shot the night before in an area known as Colt wood, now located on the N8 between Portlaoise and Abbeyleix. The railway between Waterford and Dublin ran through this area and it was destroyed by the volunteers on the night of the 23rd April on the orders of Padraig Pearse. The purpose of this was to delay British Army reinforcements from reaching Dublin. During the demolition a shot was fired by P.J. Ramsbottom the leader of the Laois Volunteers. Ramsbottom is named on the memorial which now stands on the N8 road near to where it happened. The first shot, however, did not involve members of the British military but rather a civilian. Following the dismantling of part of the railway, which involved cutting the telegraph wires, they waited in the woods. Eventually, someone was sent to investigate the reason for the disruption in communications from the Railway Company. Ramsbottom called to this man to halt and when he did not a warning shot was fired. The man then fled only to return with the police after the volunteers had left the vicinity. So the Rising began not with an attack upon occupying forces but with a warning shot to a civilian. The Laois Volunteers would go on to fight in the War of Independence. To read a more in-depth account of the night of the 23rd April, 2016, click here. Step in the Portlaoise Men’s Shed! 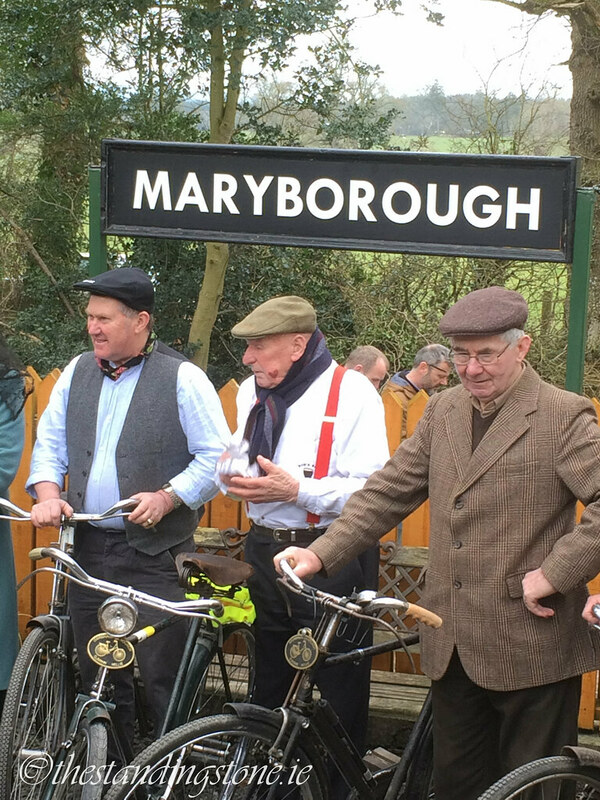 The Portlaoise Men’s Shed, supported by the Laois Commemorations Committee, organised this wonderful event in conjunction with the Stradbally Woodland Railway. 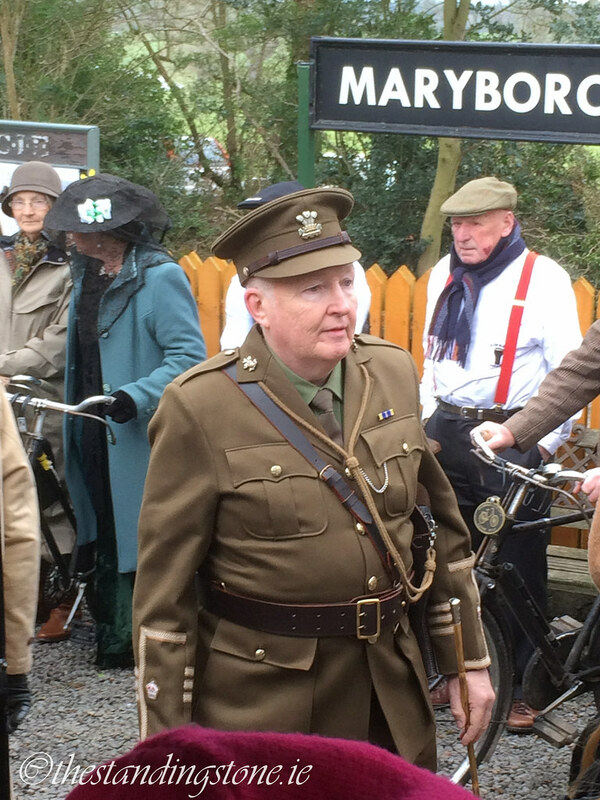 Visitors were warmly welcomed, and in spite of the cold, everyone was in good spirits and many were in period dress for the cameras from RTE and IrishTV who were there to document this event. 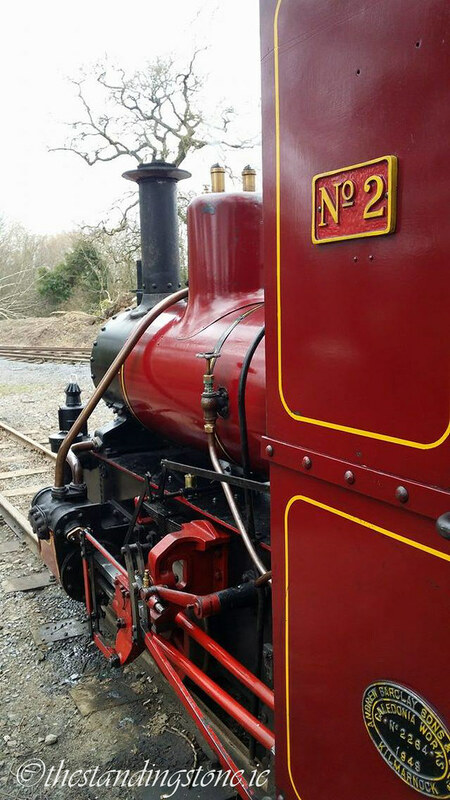 We were seated on the gorgeous red steam engine that often runs the length of the short track during selected periods in the summer months. 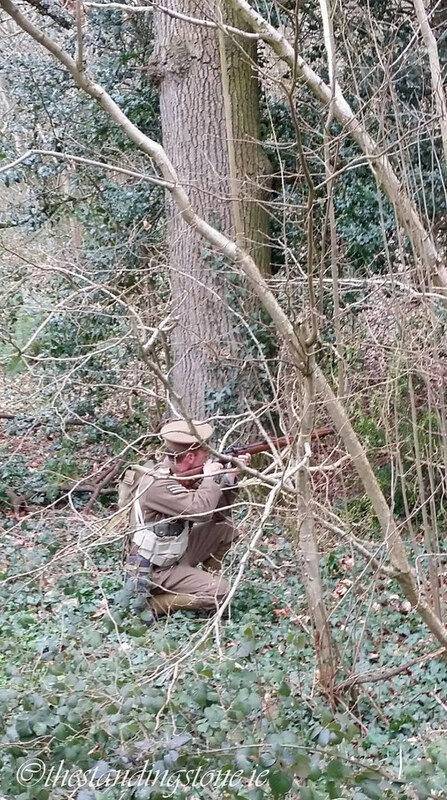 After a brief introduction by Ray Harte we were off and eagerly looking for our first sight of the rebels hiding in the trees. 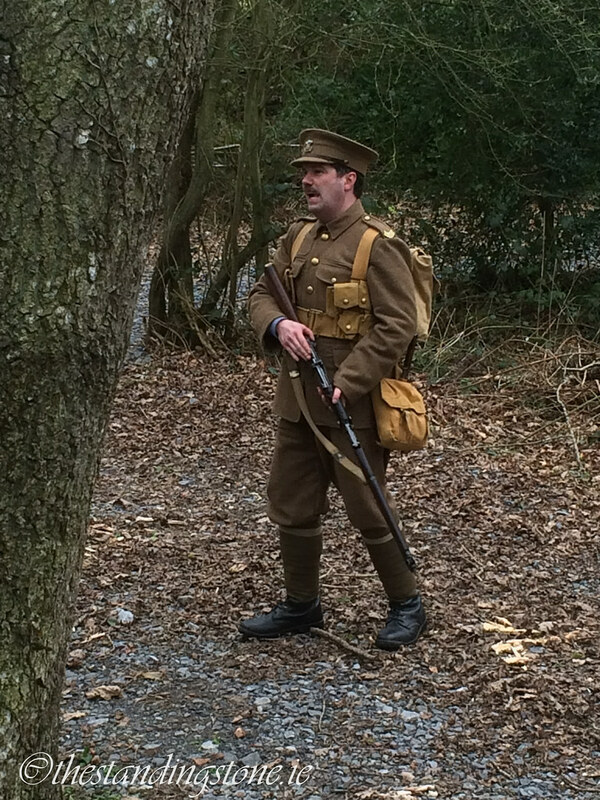 Eventually I spotted a British soldier hiding behind a tree as the train came to a halt. Suddenly, all hell broke loose as the rebels engaged the soldiers and battle commenced. Rifles and machine guns rang out, deafening most of us on the train. 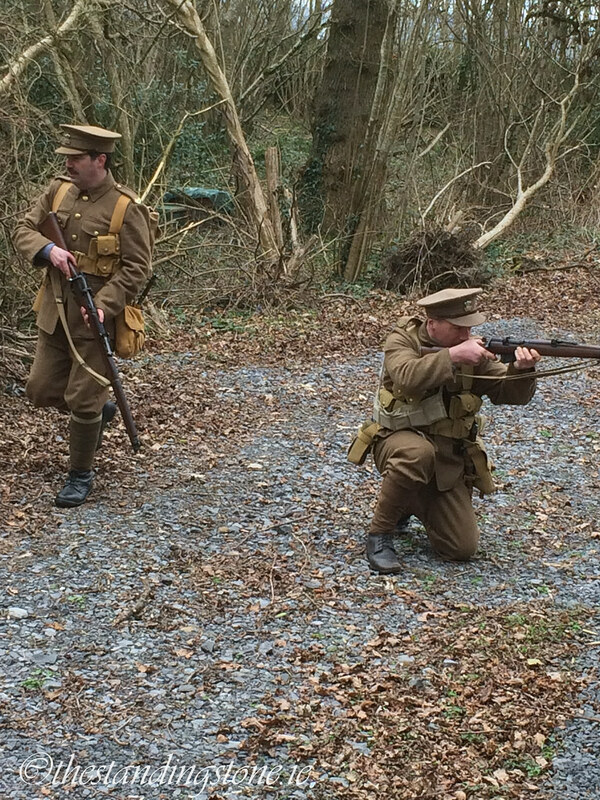 During the battle a rebel fell to British guns and eventually the battle was over as a soldier instructed the train driver to take us to safely. In the blink of an eye it was all over and we were on our way back to the station. It was a thoroughly professional presentation and very entertaining. There was an age restriction for the event with only over 12s allowed and I can see why. It could certainly be quite scary for a small child. However, I don’t think this really should have been labelled as a re-enactment because, as I’m sure you noticed from the two descriptions above, the events today did not resemble the history whatsoever. 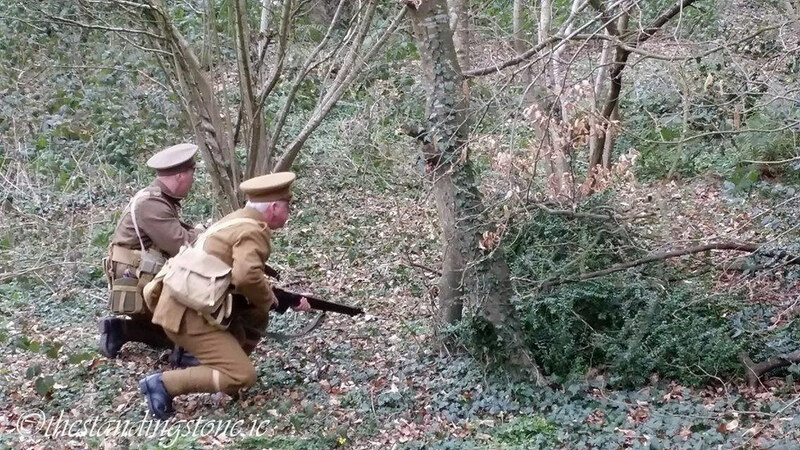 There were no British soldiers present at Colt Wood in 1916 and certainly no deaths involved. I do think it should have been made clear that what we saw was a presentation of sorts (‘pageant’ was also used on some promotional material; more apt I think) and not a recreation of the events of the 23rd April, 1916. To connect the two, in my opinion, was misleading, but this is purely a matter of presentation and does not detract from what was a wonderful day. A lot of work was put in by some wonderful volunteers to create this interesting, free event. Every credit and praise is deserved to all involved and I hope that we will see similar events in the future. The beautiful No. 2 steam engine that took us around. Plenty of people in period dress today. I was on the wrong side of the train for pictures of the rebels but I should have some pictures tomorrow from someone else.